Even though they've been gone for six years, ISIS' (the band) fingerprints are still all over the metal world, especially guitarist/vocalist Aaron Turner. In addition to his splendid work with Old Man Gloom, Turner is currently holding court as the Supergroup King with his other other band Sumac. Comprised of Turner and Baptists drummer Nick Yacyshyn (with Russian Circles bassist Brian Cook recording with the band and playing live whenever he can), Sumac came about from Turner's desire to create the heaviest music of his career, and their debut album The Deal certainly lived up to that (lofty) goal. The band returns with their follow up What One Becomes, and while they've gotten just a dash more introspective, they've certainly remained as heavy as possible. "Image of Control" kicks things off with aplomb, a harrowing ordeal of feedback and cymbal crashes so intense that when Turner's roar kicks in, it almost seems like a respite. After three minutes of this, everything clears out to make way for a distorted guitar melody that leads to a less traditionally heavy, almost groove-oriented segment. At just under ten minutes, "Image of Control" is an average length for all the songs on What One Becomes, and it's also a perfect representation of what the album is. The closing segment is also exceptionally strong, with Turner and Cook following Yacyshyn's driving rhythm to a startlingly uneasy conclusion. "Rigid Man" opens with a deliberate rhythm that I don't have the musical vocabulary to describe, but that works to wondrous effect. In fact, the whole first half of the song feels that way tempo-wise; not fast, not sludgy or slow, but just a deliberate, continually moving force like the demon from It Follows. As it fades out to be replaced by guitar riffs and cymbal fills on a much, quieter scale, the song changes from deliberate constant to increasing dread, and when the interlude ends and the band bursts forth, it's with much more ferocity and unbridled energy. "Clutch of Oblivion" opens with a slow burn of distorted guitar, with bass and drums filling in to make what could have been a Dopesmoker outtake, before ramping back up into heaviness. Yacyshyn really outdoes himself on "Clutch of Oblivion," absolutely obliterating his kit and completely inverting the "standard" band dynamic; there are parts of the song where it seems like Turner and Cook are keeping time for Yacyshyn to go wild and "riff" with his drums, and it works. "Blackout" is the longest track on the album at over seventeen minutes, and it works hard to establish itself as What One Become's thesis statement. Beginning with distorted sounds and Yacyshyn's powerful drums, and then adding Turner's bellows and finally guitar and Cook's bass, "Blackout" moves freely between moments of uncomfortable quiet and deafening power. Different parts of the song feature each member playing individually, and occasionally it feels incredibly disjointed, as though the band simply collected a myriad of song pieces and assembled them into a musical Frankenstein's monster. That the last three minutes of the song are the most melodic on the album - think Harmonicraft-era Torche - only adds to that disjointed feeling, but make no mistake: "Blackout" is powerful stuff, and the odds and ends feeling of the different parts only serve as a reminder that Sumac is operating on a different level of talent than many of their peers. "Will to Reach" closes out the album, and while it's just as strong as the first tracks, it does suffer a little at the beginning for following up "Blackout." But once it gets its legs beneath it and morphs into a sludged-out dirge, "Will to Reach" too becomes something special, and its blistering climax is the absolute perfect coda to What One Becomes. According to their Bandcamp page, the band's objective with What One Becomes was to "parallel the internal and personal struggles with anxiety." Anyone who has ever dealt with anxiety will find that the band pulled this off incredibly well; there's a disconnected feeling of unease that permeates the album, a musical mirror to a panic attack. Yet in that feeling of anxiety, there is also a tremendous album. 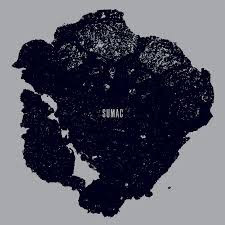 What One Becomes finds Sumac at the top of their game, and while not quite there yet, at least lends credence to the possibility that Sumac, not ISIS or Russian Circles or Baptists, could be the work that Turner, Yacyshyn, and Cook staple their musical legacies to. I know it's only been two albums, but What One Becomes is so powerful an artistic statement that I'm not willing to bet against Sumac.